Phil Hellmuth has definitely conquered the poker world with 14 WSOP bracelets and over $19.3 million in tournament winnings. But has he conquered any other games, like golf for instance? 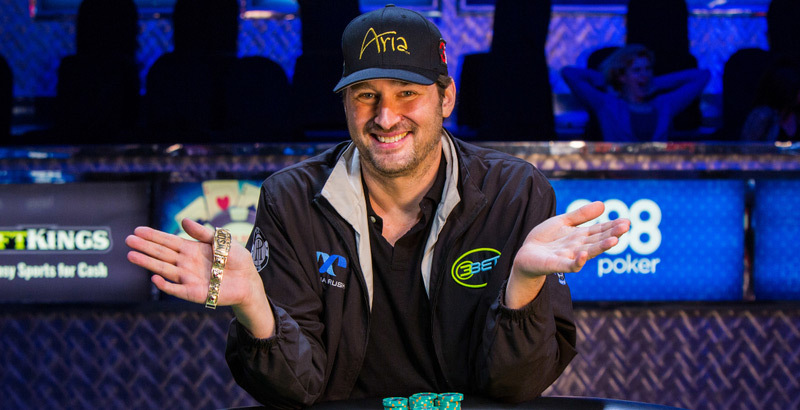 Hellmuth’s comments came during an interview with Golf Digest, where he discussed a number of topics including the game’s hustlers, drinking cognac with Michael Jordan and golfing with Golden State Warriors players. That said, take a look below at some of the highlights from this interview. The Poker Brat has hustled a few people on the felt in his time, so he knows how to spot people who are trying to do the same to him on the golf course. In fact, he has a series of questions he asks random people when they want to golf with him. Despite his reluctance to play with hustlers, Hellmuth has golfed for some pretty high stakes in the past. He and a really good golfer once teamed up to play a professional golf gambler named Denny Mason and his partner for $2,000 a hole. Hellmuth and his partner dominated the matchup, winning $55,000 that day. Hellmuth loves rubbing elbows with other celebrities, and it turns out that he’s hung out with some of the most-famous people on the planet. One time, he was even scheduled for a tee time with Michael Jordan, but missed out because he overslept. Unfortunately for Hellmuth, the Vegas desert heat had worn on Jordan and his buddies by this point, so they decided to call it a day. However, the Poker Brat did at least drink Louis XIII cognac and 70-year-old scotch with Jordan at the clubhouse. Tiger Woods – wine, women… and casinos?